There is no unsightly track in the road as the gate will travel above an uneven road surface. The sliding gate will not encroach on what may be valuable space, unlike a normal swing gate. 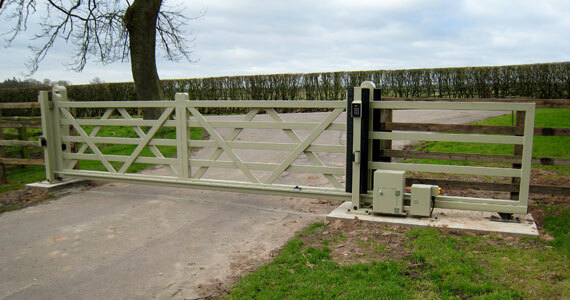 conventional gates will often not work successfully.